​Portugal | Admittedly the beaches of the Algarve and Co. are beautiful. But with an own pool the vacation is even more perfect: Cool off whenever you want – whether it’s directly after breakfast or in the middle of the night. “A dream for those who are looking for peace, quiet and relaxation.” declared one holidaymaker about this holiday home on Madeira’s steep coast. The Algarve, Costa de Prata, Lisbon or the island worlds of the Azores and Madeira – Portugal is a heavenly travel destination. 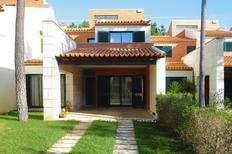 We hereby present you with the holiday homes with the best reviews. Azores | They are actually part of Portugal but are far away from the European continent situated in the middle of the Atlantic. Discover the unique world of the Azores very authentically in a holiday house on one of the islands. Holiday park located above the cliffs of Algar Seco. ​Algarve | Ideal for all water babies as these holiday homes and apartments on Portugal’s sunny southern coast are just a few steps from the nearest beach. 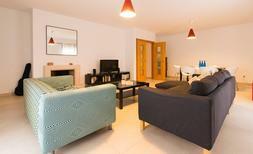 You can enjoy a great view of the city from this apartment for four people. 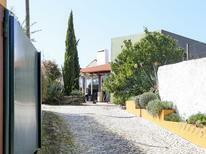 ​Lisbon | Discover Portugal’s capital from a holiday apartment. The beautiful narrow alleys in the historic centre will enthral you and the beaches of the Costa de Lisboa are mostly in close proximity. ​Portugal | With these holiday houses it is explicitely allowed to bring pets so that your faithful four legged friend can also enjoy a relaxing and eventful holiday. 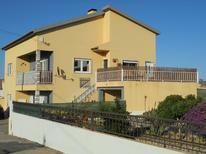 Apartment for up to four people in the bay of Sao Martinho do Porto on the Costa de Prata. Costa de Prata | The ideal starting point for getting to know the seafaring nation of Portugal better, as these holiday homes and apartments are a hundred metres from the beach at most. "Very beautiful house." 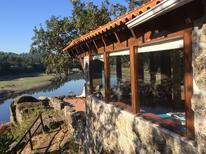 wrote one atraveo customer about this holiday home for 5 people in North Portugal. ​Portugal | Great holiday for not much money? No problem. Here we offer you a selection of holiday apartments and houses that are not expensive and at the same time have been rated very good by other travellers. A holiday house in Região Centro costs on average USD 691 in the cheap travel period and USD 1,281 in the peak season per week. These details are of course in relation to the house and not per person as well as includes the obligatory additional charges. Central Portugal is a region characterised by its diverse natural landscape and its historic towns and cities. From its mountainous interior to its extensive and scenic coastline with its abundance of beaches, Portugal is the ideal destination in which to book a holiday home. For a beach holiday there are many notable destinations in which visitors can rent a holiday house or holiday apartment in the region. In Caldas da Rahina in Beira, for example, the Foz do Arelho beach is situated beside the tranquil Óbidos Lagoon. Travellers who choose a holiday house in Sintra can avail themselves of the Grande, Magoito, Maçãs and Adraga beaches all of which have golden sands and pure Atlantic waters and offer a wide variety of water sports. 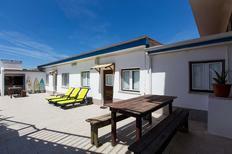 Alternatively, you could stay at a holiday rental in Nazare, a resort known for its surfing and vibrant nightlife. Beyond the beaches visitors staying at holiday apartments in Central Portugal can visit the Serra da Estrela Natural Park where the Vodafone Ski Resort offers excellent winter sports facilities. Book a holiday house at Castanheira de Pera to visit Praia das Rocas, Portugal's largest wave pool. The region's other attractions include the Museu do Ar in Sintra,dedicated to the history of aviation,andthe historic city of Coimbra, whose cathedral is one of the most important examples of Romanesque architecture in Portugal. 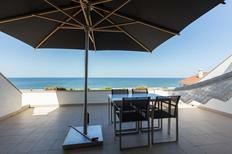 It is probably better to book your holiday rental outside of the peak summer months. May, June and September still have plenty of sunshine for a beach holiday. In May the wild flowers are beginning to bloom and in September the landscape begins to take on the glorious colours of autumn. Central Portugal is a great destination to book a holiday home for a beach holiday but with its fascinating cities and snowy mountains you can have a great holiday in the region at any time of the year.